Jared Anderson did not always see himself writing worship music. The career of one of the most distinct and celebrated voices in modern worship—with songs like “Glorified,” “Amazed” and “Rescue” widely sung in churches around the world—almost never happened. “I grew up playing the piano in church and singing in youth meetings. But by the time I was in college, I saw my music going in a different direction,” says Anderson. Download charts of Jared’s songs. Jared now embraces his calling as a worship leader and songwriter. But he’s very honest about what that means for anyone in that role. “We’re in the foot washing business,” he says. “If you want to lead, you have to serve. And if you want to serve, you have to surrender. And if you surrender you’re going to have to die.” These aren’t empty words. Dying to some of his dreams paved the way for God to do something bigger. It’s a narrow road, but it’s the path Jared has chosen to travel. And that path has led him into an effective ministry. From his former work with the Desperation Band, to his role as a songwriter/leader for New Life Worship’s live CD/DVDs and his own recordings including Where To Begin,Where Faith Comes From and Live From My Church. Whatever the setting – whether it’s a coffee shop, a church sanctuary or an amphitheater, Jared takes a simple song and turns it into a journey. 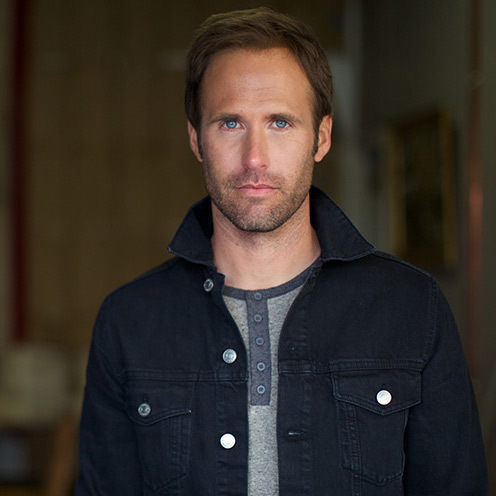 In 2012 he took listeners on a new journey with the release of The Narrow Road, his first “solo” worship album in over three years. The project features some of the common themes in Jared’s best work, while carving out new ground based on a favorite literary work. In addition to a host of new songs inspired by Jared’s own pilgrimage such as “According to His Word” and “Impossible Possible,” The Narrow Road also features two favorites, the worship anthem “Great I Am” and “I Am Free” featuring his former Desperation bandmates Glenn Packiam and Jon Egan. Jared continues work on a series of inspirational albums that feature piano driven, folk-rock songs centering on everything from love to literature to life’s big questions. And he continues to serve as a worship team member at his home church, New Life, in Colorado Springs, Colorado, while also making time to lead worship at churches and conferences around the country. Amidst the pulls of ministry and creative pursuits, it is the love of his family that grounds Jared. Most recently, he and his wife Megan, along with their four children (Everet, Becket, Francie, and Lyla) decided to enlarge their already full family. After much prayer, the Andersons have begun the process of adopting two orphans, John Diego and Christine, from Haiti.